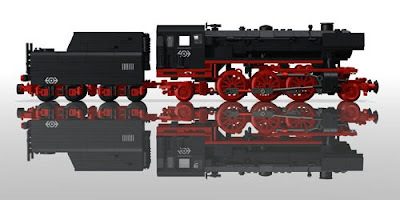 Reinhard Beneke has come to the same conclusion and started building the most famous locomotives of Germany. Baureihe 23 is only one of the many great locomotives he has built. 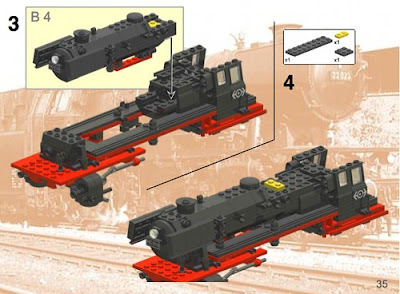 But this one is very special because one of his fans has created full building instructions. If you read the 67 pages you will find out how the driver's position looks from the inside and also how the wheels turn. 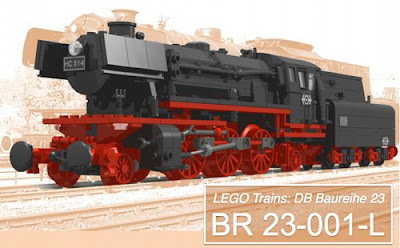 The full instructions can be downloaded from the download page of Railbricks (11.5M).